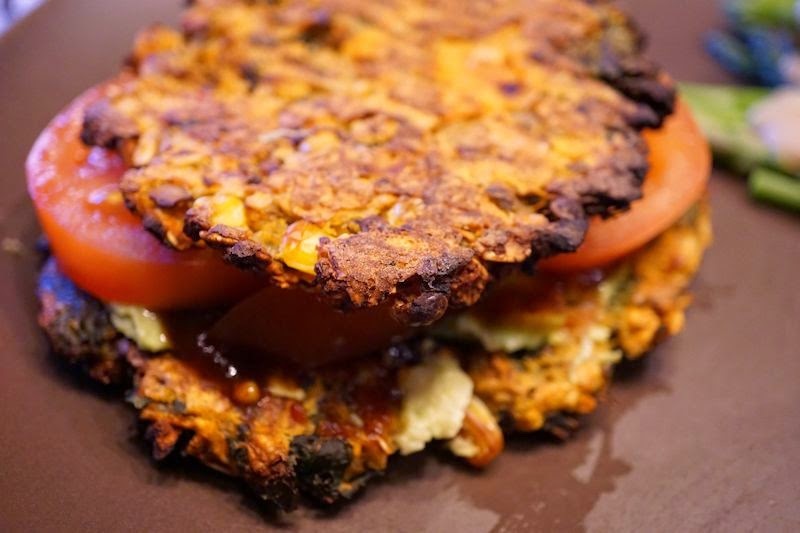 We made a few modifications to the kale burgers from the "Prevent and Reverse Heart Disease" cookbook, and we love the result! Steamfry onions until golden in a large skillet. Add garlic and mushrooms. Cook until most of the liquid is evaporated. Add kale and cook for 1-2 minutes until wilted. In a large bowl, mash cannellini beans until all beans are mashed. Add sweet potatoes, corn, oats, and cooked veggies. Stir all together well. Add salt/pepper to taste. Make patties the size of your buns. Place on parchment paper-lined baking sheets. Bake on one side for 15-20 minutes. Flip over and bake another 15 minutes, until both sides are crispy. Serve on whole-grain buns or sandwich thins.